Arrive in Mumbai. Our representative will receive you and take you to the hotel. Check-in at the hotel and spend rest of the day at leisure. Night stay in Mumbai. Dotted with several tourist attractions, the beguiling city of Mumbai is known for its Hindi film industry. It is the entertainment and commercial capital of the country. Kerala Backwaters tour packages cover tourist attractions of Mumbai. Enjoy a tour of Mumbai and see Gateway of India and Elephanta Caves. Also travel to Juhu Beach during Mumbai tours. Return to the hotel for night stay after sightseeing tour of Mumbai. You will be taken to the airport to board the flight for Trivandrum (now named as Thiruvananthapuram), capital city of Kerala. Once arrive in Trivandrum, you will be taken to the hotel in Kovalam. Offering scenic bliss, Kovalam is a popular beach holiday destination. Sports enthusiasts can completely immerse themselves in water sports. After check-in at the hotel, take a walk along the beach and get drenched in beach activities. Rejuvenate yourself with Ayrurvedic massage in the center located nearby. Night stay in Kovalam. Relax on the beach and rendezvous with your inner self amidst serene ambience. Transfer to Cape Camorin or Kanyakumari, the cape at the southernmost tip of the country. See Padmanabhapuram Palace and take a tour of Archeological museum. Return to the hotel in Kovalam for night stay. After having a breakfast, travel to Varkala, one of the most frequented beach retreats in Kerala. From vast sandy stretch to peaceful environment, Varkala is an idyllic hideaway. On arrival in Varkala, check-in at the hotel. You may relieve your stress with some traditional massages and therapies. On your travel tour of Varkala, you may just lie down and enjoy direct contact with nature. Night stay in Varkala. We will travel to Kumarakom by speedboat. Renowned for its bird sanctuary, Kumarakom is an oasis of tranquility. It is one of the most sought after leisure destinations in Kerala and is blessed with nature's bounteous beauty. From mangrove forests to coconut trees to paddy fields, enjoy scenic bliss. Kerala backwater tour is incomplete without a Kumarakom tour. Night stay in Kumarakom. Travel to Kumarakom Bird Sanctuary. It is heaven for nature lovers and ornithologists. Enjoy windsailing and water skiing. You may also opt for a serene canoe ride over the lake. Night stay in Kumarakom. Today on Kerala backwater tour, travel to Periyar, a refuge from the hustle bustle of the city crowd. Renowned for its National Park, it is dotted with rubber estates and tea and spice plantations. Arrive in Periyar, transfer to the hotel for night stay. Savor the wilderness during your Periyar travel tour. Visit Periyar Wildlife Sanctuary. While traveling Periyar wildlife sanctuary, explore its rich flora and fauna. Trek through verdure forest and see a wide variety of birds and animals. Take a walk through spice garden. Enjoy boat safari on the lake and see wild elephants and other animals in their natural habitat. Night stay in Periyar. Kerala backwater tours are the most sought after tour packages that allow travelers to have a direct contact with nature and its glory. Transfer to Kottayam. Embark on houseboat journey. Your backwater Kerala tour on houseboat ensure to add a new dimension to your holiday trip. Enjoy Kerala backwater cruise of 2 days, that ends at Allepey. From Allepey, transfer to the hotel in Cochin. Enjoy sightseeing tour of Cochin on your Kerala backwater tours. Visit Jewish Synagogue, Dutch Palace, St. Francis Church and other tourist attractions. Enjoy Kathakali dance performance in the evening. Night stay in Cochin. In the morning, we depart for Calicut, now called as Kozhikode. It is the place where Vasco da Gama first set his foot in 1458 from Europe. Arrive in Calicut, check-in at the hotel. Take a sightseeing tour of Kozhikode (Calicut) in the afternoon to visit the Art Gallery, Pazhassiraja Museum and Krishna Art Museum. After your Kozhikode tour, return to the hotel for night stay. Settles in Vythiri, travel to the unspoilt place in Kerala, which is blessed with nature at its best. Experience living like Tarzan on your Kerala Backwater tours. Houses built on trees with eco-friendly material. Treehouse is located 65 km from Calicut (Kozhikode) en-route Ooty-Mysore highway. Explore the nearby area. Relax in the lap of nature. You may also indulge yourself in photography. Night stay in Treehouse. Travel to Ooty in the morning. Arrive in Ooty, check-in at the hotel for night stay. Ensconced in the Nilgiri Hills of Tamil Nadu, Ooty or Udagamandalam is referred as the Queen of Hill Stations. With rolling hills, floral carpet, sparkling brooks and waterfalls, Ooty is an enchanting hill retreat that beckons people to shed all their blues and loose themselves to its scenic beauty. You may opt for sightseeing tour of Ooty. You may also indulge yourself in shopping. Spend day at leisure. Night stay in Ooty. In the morning we will leave for Mysore. Arrive in Mysore, check-in at the hotel. Immerse yourself in sightseeing tour of Mysore. Night stay in Mysore. After morning sightseeing tour of Mysore, leave for Bangalore. Upon arrival, you will be transferred to the hotel for night stay. Enjoy morning sightseeing tour of Bangalore. Transfer to the airport to board the flight for Mumbai. Arrive in Mumbai, check-in at the hotel where you will have few relaxation hours. Domestic travelers are taken to the airport to board the flight back home. International travelers will be taken to the airport after dinner to board International flight. 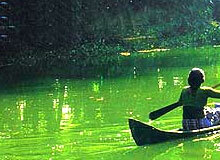 India Profile offers online booking for Kerala backwater tour Packages. For tour booking or further queries, please fill up the form given below.